He is the author of five English-language books, all focusing on Korean immigrants’ experiences. They include Caught in the Middle: Korean Communities in New York and Los Angeles (1996), the winner of two national book awards, and Preserving Ethnicity through Religion in America: Korean Protestants and Indian Hindus across Generations (2010), the winner of three national book awards. He edited or co-edited eight books, including Mass Migration to the United States: Classical and Contemporary Periods (2002) and Koreans in North America: Their Twenty-First Century Experiences (2013). He received the Career Distinguished Award from the International Migration Section of the American Sociological Association in 2012. 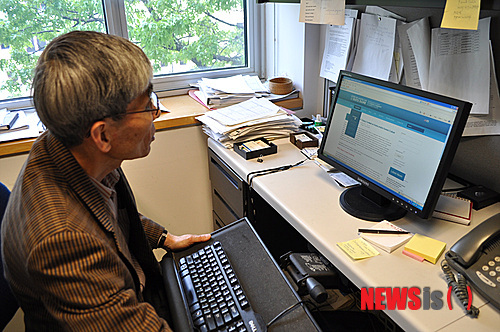 He is the only Asian American sociologist who has ever received this prestigious award. He is one of the six recipients of “Proud Korean Awards” from the Overseas Korean Journalists’ Association in 2013. He is the only one selected for this award from the U.S. Korean community. He completed his undergraduate education at Seoul National University majoring in history. He received a master’s degree in history and two Ph.D. degrees, one in educational philosophy and the other in sociology, all from Georgia State University.